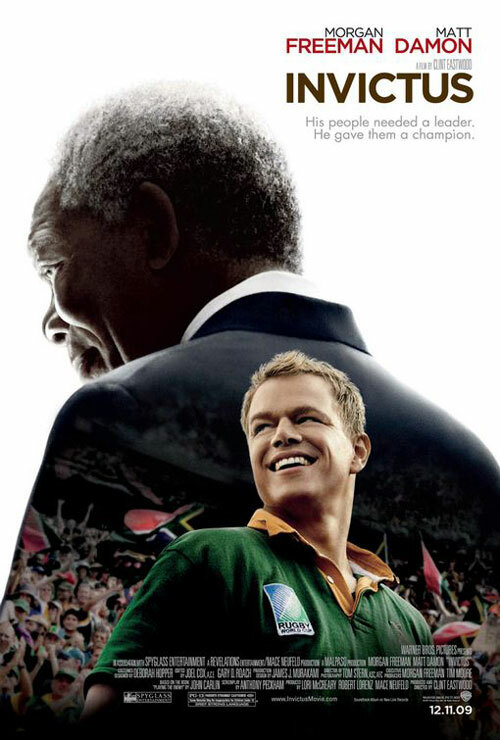 Struggling to mend a divided country, President Mandela (Morgan Freeman) fixes upon the idea of South Africa winning the 1995 Rugby World Cup to unite white and black. The subject of the film is a rugby game, but the story is about the political and cultural tension at the time. Many of Mandela’s countrymen felt it was a bad decision to embrace the loathed Springbok rugby team (Captain’d by Matt Damon) as a symbol for future unity of his country, because they were white and wore the colours of apartheid. However, Mandela was insightful enough to see that sport is a version of life and politics a kind of sport, and both require teamwork. Another Clint Eastwood directed film (Million Dollar Baby, Unforgiven, Gran Torino), this film is noble, elegant and warm-hearted.